How To Tell If A Diamond is Real or Not! Diamonds have always been tremendously valued and precious. Some legends say they’re part of the bright, twinkling stars, others describe them as the precious tears of the gods. For centuries, humankind has been infatuated by the sparkle and charm of these stunning stones. But for all its shimmer and gleam, the diamond is, in fact, a highly simple substance. It is made up of pure carbon – the basis for all life on earth. What makes it special? 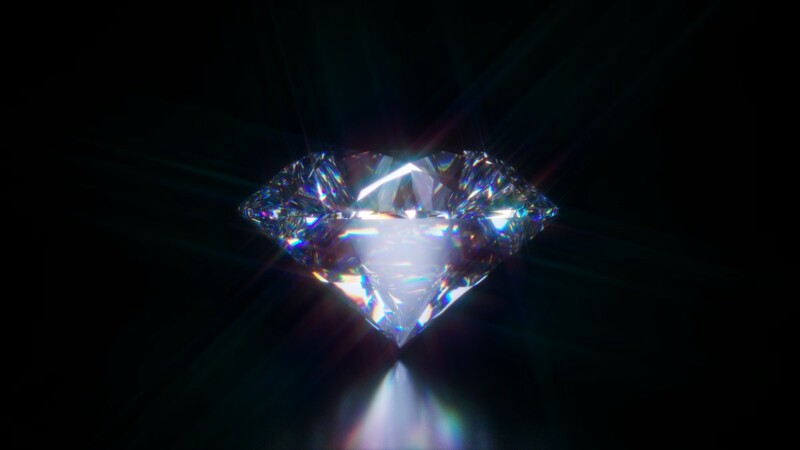 Aside from its glorious beauty, the diamond is the hardest known substance found, naturally. What differentiates this most cherished stone from common coal is its molecular structure. Chemistry aside, there are many stones out there that could pass off for a diamond to an untrained eye. If you are paying market price, you don’t want to be duped into buying an inferior stone. In this article, we explore the various techniques that can be used to conclude if the stone is a real diamond or a counterfeit. Test If Diamond is Real or Fake At Home? If you are not familiar with the real diamond properties and structure, here are some “AT Home” diamond test that can help you identify if the diamond is real or not! 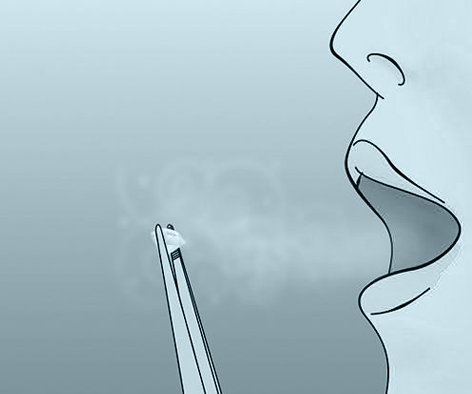 Place the gem next to your mouth and blow on it, fogging it in a way one would fog a mirror. If it remains foggy for some time (a few seconds), it’s likely a counterfeit — a true diamond dissipates the heat from the breathing right away, hence it won’t cause fogginess that easily. It will be useful to keep a genuine diamond next you as you test both the stones together. This way you can observe the difference and decide if the one being tested is real – an actual diamond remains clear and its imitation fogs over. Further, if you continuously breathe on the fake diamond, you will observe condensation beginning to form on the surface of the stone. A genuine diamond refracts light so well that it is impossible to see through it. If you happen to have a loose diamond and you are unsure if it is real or a cubic zirconia, run it through the transparency test. 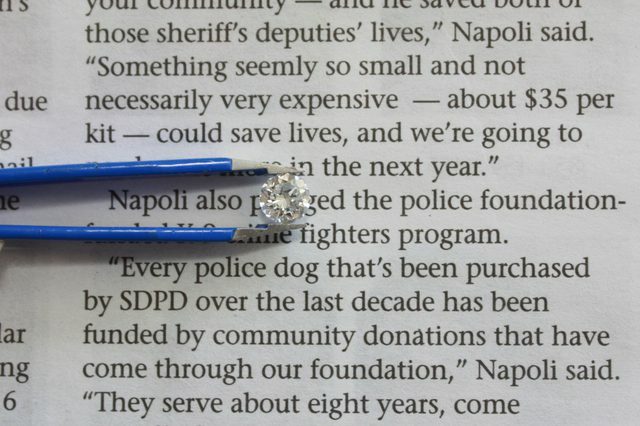 Get hold of a newspaper or a magazine page position the diamond on top of it. If the gem is a diamond that has a good grade and cut, it must glitter enough that you cannot look through it or read the contents of the paper underneath. If, however, you can see right through and read the text on the paper, the diamond is fake or a very poor grade and quality. A similar test can be done by positioning a white paper on a flat ground and drawing a tiny dot with a pen or a pencil. Put the gem over the dot, keeping the flat side down. From the pointed end of the stone, see through the stone onto the paper. If you observe a circular reflection inside the stone, it is fake. If, however, you are unable to see the dot or reflection in the diamond, then it is a real stone. Diamond has tremendous refractive qualities due to which light tends to bounce in various directions rather than flowing in straight lines. Therefore, you cannot see the dot or letters through an actual, good quality diamond. 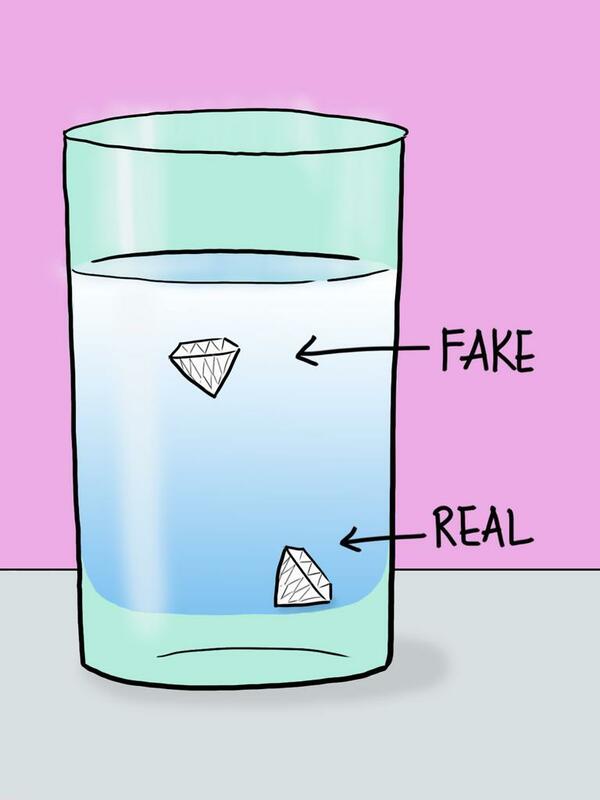 This test is the most simple test to identify if the diamond is real or fake at home! It is also called Diamond Water Test or Density Test. Find a beaker and fill it up with water. Drop the stone into the beaker and observe the speed with which it falls to the bottom of the beaker. Diamond is a high-density stone, so it must a fall fast and sink to the bottom immediately. If it does not sink fast or floats, you can conclude it is a fake stone. The sparkle test, as the name suggests, involves examining the diamond for its sparkling effects. It does not need any equipment. To perform the test, hold the diamond under a source of light, like a bright lamp. Observe how the light gets reflected off the diamond and look for white light bouncing off the stone and colorful reflections. A true diamond is a good reflector of white light and provides exceptional sparkle. It can also reflect fire and colored light beautifully. If a real diamond is compared to synthetic stones, a drastic difference in white and colored light sparkle can be observed. Diamonds are formed of extremely strong substance and remain unaffected by heat. To examine this, find a glass filled with cold water, then, making use of plyers, hold the stone and heat it on the fire (you could heat it on a lighter) for 60 seconds. Immediately drop it into the glass of water and observe the stone. If the stone shatters, it isn’t diamond. A real diamond will remain unaffected by the heat. This test checks the strength and quality of the gem. When subjected to quick contraction and expansion, weaker stones will break. This behavior is similar to the cooking ware made of glass used in the kitchen that breaks when something hot is poured into it suddenly. Listed below are the few professional tests that can be conducted to assure 100% genuineness of the diamonds. Loupe tests are usually done by diamond professionals. 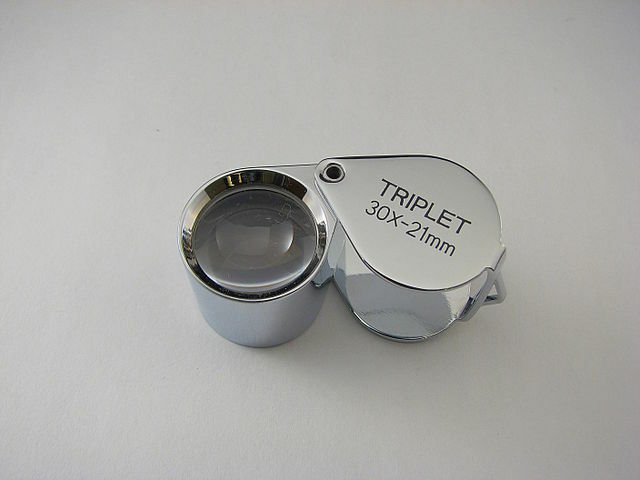 Loupe is a special magnifying glass used to inspect gems and diamonds. Diamonds are naturally occurring substances and only the rarest and most expensive will appear flawless. Most diamonds have small imperfections such as inclusions and feathers. Looking through the loupe, you should be able to observe these imperfections on the stone if it is a real diamond. In case of a fake diamond, these imperfections will be absent. Finding a fake diamond can be done by means of an electrical conductivity test where a gemologist makes use of an electrical tester to run electricity through the stone. The test gives clear indication of the conductivity shown by the stone. Diamonds are good conductors of electricity compared to their fake counterparts. Therefore, if the stone is real, it will show positive results on the electrical conductivity test. Weight test involves weighing the stone that needs to be tested with a real diamond, the two being similar in shape and size. Diamond is slightly lighter than it’s fake counterparts. There are special weighing machines that are able to detect these variations. To test the molecular structure of the stone, you can have the stone run through an X-Ray in a professional diamond lab. The X-Ray will help provide the internal molecular layout of the stone. Diamonds are radiolucent whereas the counterfeit stones like cubic zirconia are radiopaque. 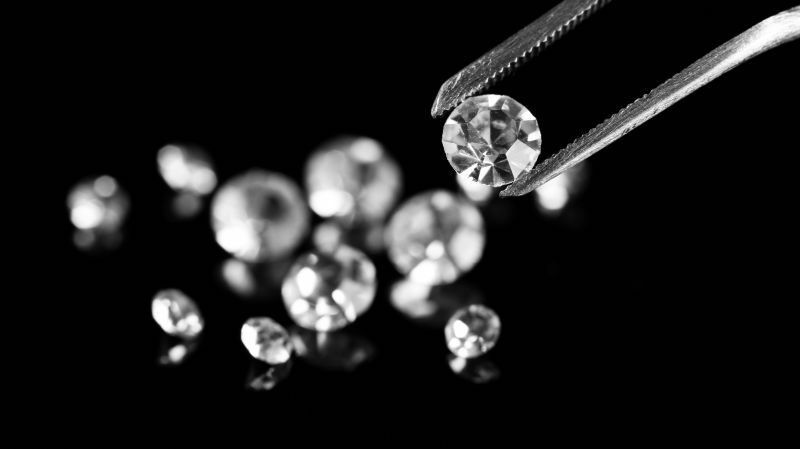 Most of the tests that have been listed above can accurately determine if a diamond is real. However, due to the increasing number of synthetic fake stones in the market, it is advisable to consult experts to be sure of your possession. Also, ask for diamond certification from institutes such as the GIA if you are buying a diamond greater than 50 cents or 1 carat in weight. All the best and happy diamond shopping! What is a diamond transparency test? Diamond newspaper test or transparency test, as shown above, is when a diamond is placed above a paper with print on it. You should not be able to see the print behind the diamond if the quality is good.